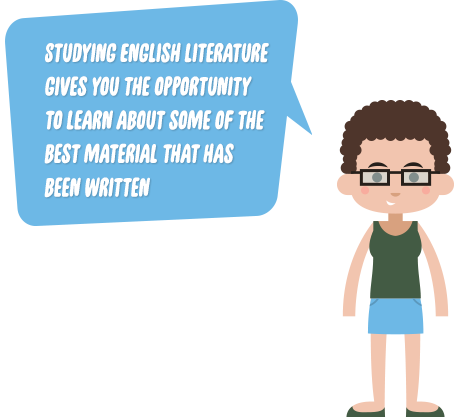 This excellent guide to the English literature GCSE takes students through what to expect, how to prepare and offers some useful ideas for practising the sort of questions they might face. Let your students check it out here. There are a whole range of revision guides (plus links and downloads) on Englishbiz.co.uk, including analysing poetry, plays, fiction and non-fiction, as well as one dedicated to Shakespeare. So if you’ve studied any of these this year you can find all links to resource here. If there’s anything we’ve not covered, there’s plenty more at Teachit English where you’ll find sections on Shakespeare, 19th-century novels, post-1914 novels, post-1914 drama, poetry and other revision resources. Click here to check it all out. With mobile phones being almost omnipresent in our lives now, it makes sense that kids should have a good revision app on them at all times (except in the exam itself, of course), and Gojimo is here to help. There are loads of questions with detailed answers and explanations (with diagrams) to help students learn, with tests and a progress tracker. It’s also free to use, and can be used offline, so kids needn’t worry about data usage. It’s available for Apple and Android phones, and you can find both links here. Looking at previous papers is an essential part of preparing for exams, so whether you want to look over some in class or direct students towards them to look at at home, you’ll find AQA, Edexcel, WJEC, OCR and CIE tests all here. Head to revisionworld.com for links to all of these. Nic Worgan has a whole host great literature-based videos on her YouTube channel that are well worth checking out. There’s the above video on unseen poetry, plus key quote quizzes for GCSE texts like Jekyll and Hyde, An Inspector Calls and various Shakespeare plays. Give Nic’s YouTube channel, GCSE-English.com, a visit here. For students who know what to write, but fret about how to write it when the pressure is on, this guide has some excellent advice on structuring essay answers in exams. It’s got helpful insights into starting and finishing essays, planning, using quotes, presentation and typical spelling, punctuation and grammar errors to avoid. Make sure your menus are healthy, tasty and offer great value for money with expert guidance from nutritionist Nigel Denby.